The project involved two oak framed properties, a larger farmhouse and a three bed cottage. The farmhouse was a bespoke design created especially for the client and their site included a jetted 2 storey porch and gable, featured windows, ornamental chimney stack and a wealth of hand made exposed oak frames. The cottage design was based on a traditional two and a half bay building, combining masonry with exposed oak frame, lime render and traditional overlapping weatherboards. The roof covering was a particular consideration. 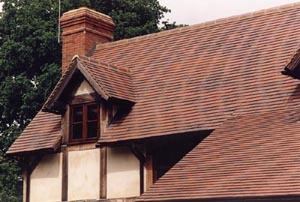 It was crucial that the tiles were of great and consistent quality in order to unify the designs of the two buildings. 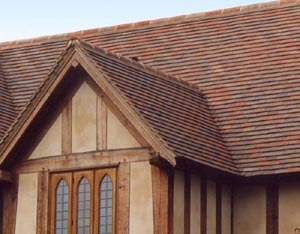 The tiles were also required to be easily worked and with a superlative texture and colour. 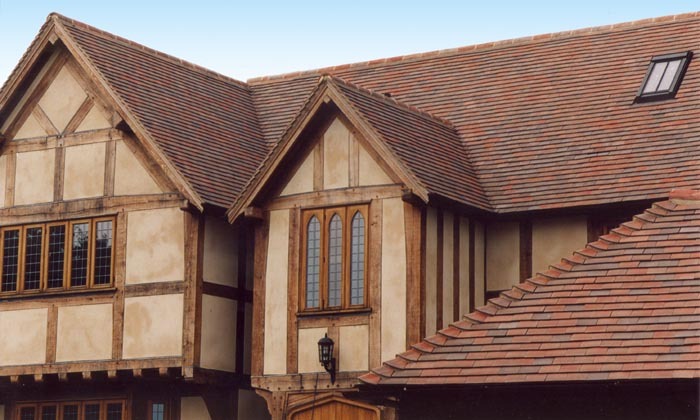 The overall appearance of the roof is relaxed and uncontrived, the Collingwood blend provides an organic and subtle colour. 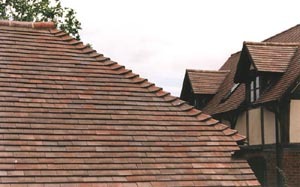 The client was very keen that the ridges and valley tiles, would match seamlessly, the choice of Dreadnought tiles over reclaimed tiles ensured this. 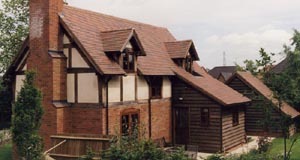 The importance of a roof covering to the overall effect of a house cannot be underestimated and it is something that has to be right from the start of the project because in all likelihood it will be there for the lifetime of the building; in the case of oak frames this can be 500 years. The client specified Dreadnought tiles because they felt the quality, texture, range and impact would best complement the ethos of the entire building project.